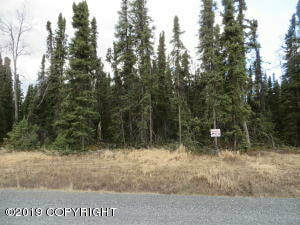 DESCRIPTION: Beautiful 1.4 acre residential lot with gas and electric adjacent to property. 2.40 acre lot directly across the street also for sale for $35,000. MLS# 19-5086. DRIVING DIRECTIONS: Sterling Highway to aprox MP 87.9 to Panoramic Drive. Turn on Marriot Dr. to Harbin Ave to Lou Morgan Rd. Turn on Hall Rd. follow to the end, turn left onto Tanner Circle. Look for real estate sign.